Here at Master Pools of Austin, we understand that whether you’re managing a business or running a home, it’s vital that the pool construction process offers maximum convenience and efficiency. And if you’re building a new home from scratch, we’ll time our pool construction with associated works, meaning you can enjoy your new pool from day one. Once our design team has created a finalized plan, we can then begin constructing your dream pool. Our easy, clear process will grace your property with a sanctuary for leisure, fitness and family fun, but without the hassle and disruption. 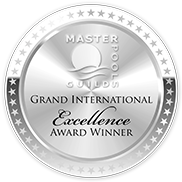 As members of the elite Master Pools Guild and the Atlantis Aquatic Group, our professionals have been recognized for our high standards of workmanship, customer care and business ethics. As such, we’re able to handle even the most complex of jobs with total ease and an innovative touch. If you’re looking for bespoke swimming pool construction in Texas, contact our friendly advisers today – we serve a wide area, including Austin and surrounding cities.